Roughly two and a half months out from this year's Knesset election, the Jewish Home still has no party leader, Knesset list, or campaign platform, Rabbi Chaim Druckman lamented in an interview with Arutz Sheva. "It is imperative that there be a large religious Zionist party in the State of Israel. It is not only important for religious Zionism but for the State of Israel," said Rabbi Druckman. 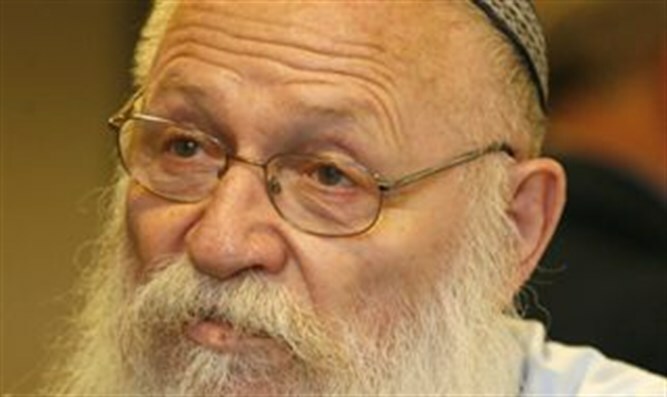 Rabbi Druckman, a former Knesset Member for the National Religious Party - the forerunner of the Jewish Home - currently serves as chief of the Bnei Akiva yeshiva system. Party leaders have expressed concern in recent weeks, as polls show the Jewish Home failing to pass the electoral threshold. With the party scrambling to rebuild itself following the departure of ministers Naftali Bennett and Ayelet Shaked, Rabbi Druckman said there was no time for a drawn out primary season. "We don't have any choice today. There is no time for the public to vote [on new leaders], so a central committee which represents all the different types within the national religious movement must pick the party chief." Given the party's precarious position in the polls, Rabbi Druckman emphasized the importance for choosing a popular leader and Knesset candidates with broad electoral appeal, adding that ideology alone is not enough. "We must have an attractive Knesset list, because ideology isn't enough."